There are so many ways in which you can donate to Bransby Horses. Donations come in all shapes and sizes. From used postage stamps, to second-hand saddles, we truly appreciate every single donation kindly made to us. There are so many ways in which you can help us to raise vital funds to enable our dedicated care towards equines to continue. Please also see our Fundraising page. • Your time! Please visit our volunteering page to find out more. We would like to acknowledge any item that has been kindly donated, however, to keep our fundraising scheme cost effective we are not able to acknowledge every contribution you kindly send. If you wish to receive an acknowledgement please enclose a self-addressed envelope or an email address. We are constantly trying to improve our existing fundraising schemes, in addition to creating new ones, if you have any ideas please don’t hesitate to drop us a line. Collecting used postage stamps, at home, work or school, is a really simple and effective way to raise money for Bransby Horses. In 2016 alone, we raised a huge £66,349.71 through the scheme! Why not ask your friends and colleagues to collect them too? Simply cut off the corner of the envelope with the stamp on (taking care not to cut the actual stamp). Once you have a small collection, please put them in an envelope and send to: Stamp Appeal, Bransby Horses, Bransby, LINCOLN, LN1 2PH. 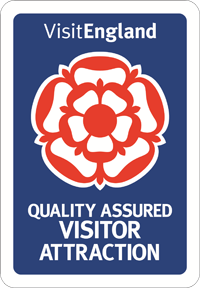 Alternatively, you can drop them off at our Lincolnshire Visitor Centre. Why not print our poster (click here) and display it at your chosen collection place, along with a box for people to leave their stamps? Did you know that you can support us every time you shop online at over 3,000 retailers – without spending a penny extra? It’s true! Give as you Live works with more than 3,000 top retailers including Amazon, John Lewis and Expedia, to turn a percentage of every penny you spend online into a donation to us. The retailer makes the donation on your behalf, so it won’t cost you a penny extra. All you have to do is sign up to Bransby Horses through Give as you Live. We have joined forces with eBay and Mission Fish to sell items on eBay to raise funds. This enables us to maximise the potential to generate the highest price for donated, often niche items, on eBay by reaching a wider market. Another way to support us via eBay is to sell your own items and donate a percentage of the profit to Bransby Horses. This can be anything from 10% to 100%. Also when you purchase items you can donate to us at the point of checkout if you wish. Urgently Wanted – Items to sell on eBay. If you have any items you wish to donate please send to: eBay Dept., Bransby Horses, Bransby, LINCOLN, LN1 2PH. You might be surprised what you find if you have a spring clean! Please remember to include Gift Aid when making a donation, if you are eligible; it costs you nothing and boosts your gift to us at no extra cost. Post – We gratefully accept Cheques made payable to: Bransby Horses. We also accept Postal Orders, and CAF (Charities Aid Foundation) Vouchers. Please send to: Bransby Horses, Bransby, LINCOLN, LN1 2PH. Telephone – To make an immediate donation during the week from 9am to 5pm, please telephone 01427 788464. We accept all major credit or debit cards. Text – To make a donation via text simply text ‘PONY12’ then the amount you wish to donate to 70070 (e.g. PONY12 £5). You will receive a text back confirming your donation. The amount will be deducted from your mobile credit balance or added to your next monthly bill. In Person– You can always visit our site at Bransby, which is open seven days a week 10am -4pm and visit the horses, ponies and donkeys. Online – Please click on the ‘please donate’ button at the top of this web page. Clydesdale Bank– You can pop into any Clydesdale or Yorkshire Bank branch and deposit straight into our account. If you quote, at the counter Sort Code 82-30-00 & Account Number 10011570 then it will be in our account instantly. Leaving a Legacy – By remembering Bransby Horses in your Will or Codicil you can help us to provide a lifetime of care for all our equines and help us to rescue more. For further information please email: legacyofficer@bransbyhorses.co.uk or phone: 01427 788464.